SYNTHETIC ORANGE 2019.2 – 12. 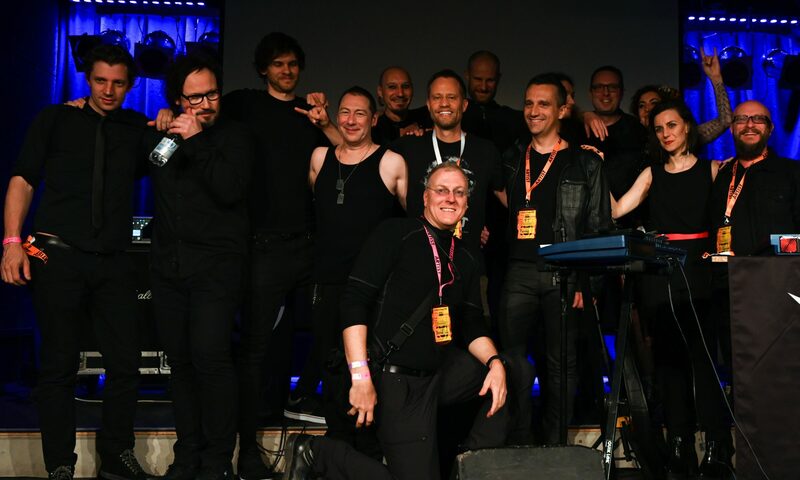 Oktober 2019 / Substage Café in Karlsruhe – Scroll down / runterscrollen für Details! Vielen Dank für Eure Unterstützung beim 3. Fest! Thank you so much for your contribution during the 3rd party! Am 12. 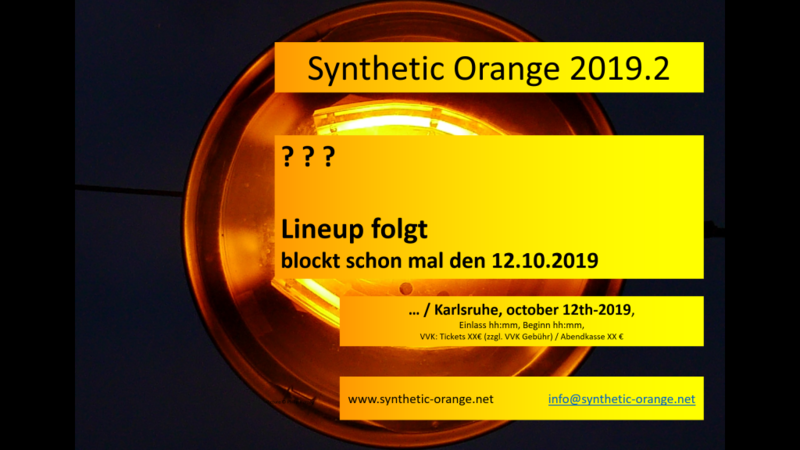 Oktober 2019 steigt der vierte Durchgang der Synthetic Orange Party im Karlsruher Substage Café auf derm Gelände des Kulturzentrums Alter Schlachthof. Bestätigte Bands werden hier ins Menü eingefügt. On October, 12th.-2019 the fourth edition of the Synthetic Orange Party will take place at the Substage Café in the aera of the former slaugtherhouse which is now used for events and start-ups. Confirmed bands will be added here in the menu. Our project is about gathering experience, sharing it and dealing with our own interests, skills and limits. Feedback is welcome.